For the past few years Mills has been specifying and installing devices with remote support, troubleshooting and rebooting capabilities. It has allowed our senior technicians, working with our clients, to remotely solve many problems. 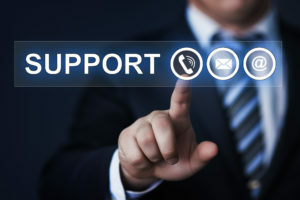 When Mills launched our new customer support structure, our support team initially had the ability to remotely troubleshoot and reboot devices in about 40 sites. However, we have installed devices in many more locations with such potential capabilities – knowing that while certain features were presently dormant, technology would progress to make these even more valuable to our customers. We are pleased to announce that as of July 2018, these features have been activated, and our support team now has the ability to quickly troubleshoot and reboot devices in over 100 working systems. We offer plans for as little as $35/ month that provide around the clock technology support.